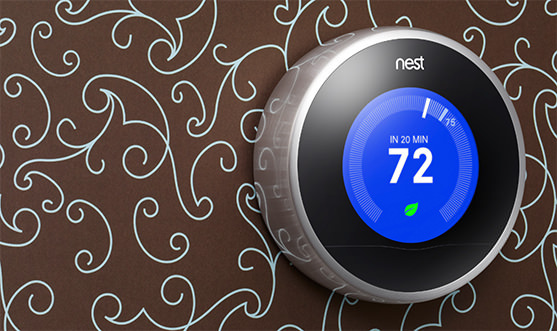 Nest Labs has released the Nest Learning Thermostat 2.0 nearly a year after 1.0 was released. As Nest continues to innovate in the smart, green thermostat space, marketing and perceived value has always tended towards: how much money does this save me? However, after one year of data collection by Nest, the deeper value in Nest is its social and aggregate value. Nest is able to collect data on energy use and energy savings (read their stats here and download the whitepaper) Nest translates that into a monetary figure for average money saved. What is really exciting about Nest is its sociological implications for connected, networked based energy production, consumption, and data collection. As Nest Labs continues to collect user data we will begin to learn how people use energy and how we can improve energy efficiency and overall reduction. Nest Labs markets the Nest as, how we can save you money, but the larger, sociological implications of networked and data producing energy devices is Nest's real social value. And that is more exciting, and in the long run, more important than personal savings. Posted in Consumer, energy, Nest, Technology and tagged with Consumer, energy, Nest, Technology. October 2, 2012 by Nik Janos.